At today’s Media Day, held two days ahead of the UFC’s debut in Albuquerque, New Mexico, lightweight Ross Pearson (17-6) was shocked to know that he has supporters in the city. 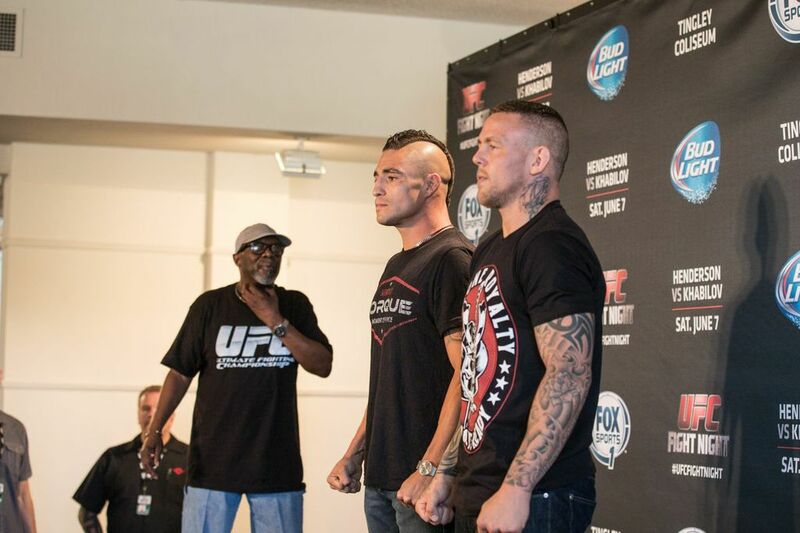 Diego Sanchez vs. Ross Pearson, UFC Fight Night-Albuquerque. On Saturday night, Pearson will be facing the man to put Albuquerque mixed martial arts on the map when he takes on Albuquerque legend, Diego Sanchez in a vital lightweight fight for both men. The 11-bout UFC Fight Night: Henderson vs. Khabilov card will take place Saturday at the Tingley Coliseum. Tickets are still available and can be purchased on TicketMaster.com.